Colorado Rockies starting pitcher Kyle Freeland works against the Los Angeles Dodgers in the first inning of a game Saturday in Denver. 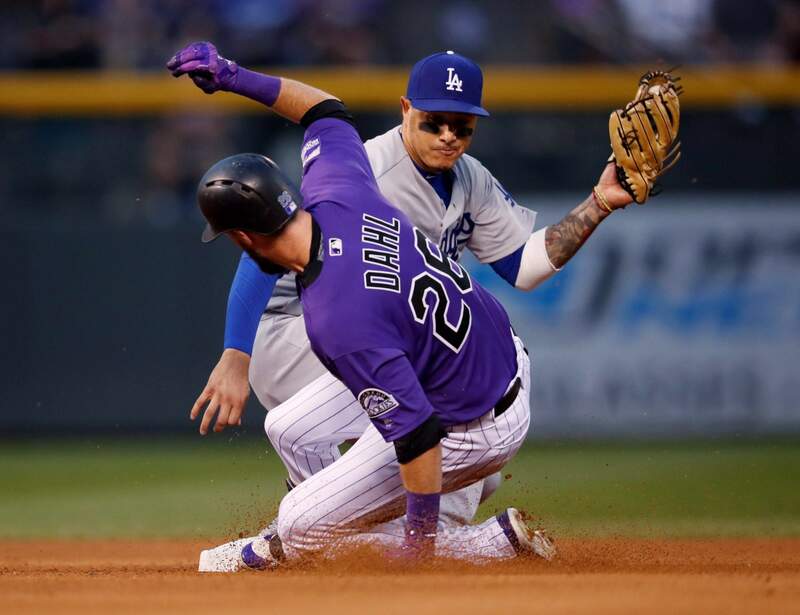 Colorado Rockies’ David Dahl, front, slides safely into second base with a double as Los Angeles Dodgers shortstop Manny Machado fields the throw in the fourth inning. 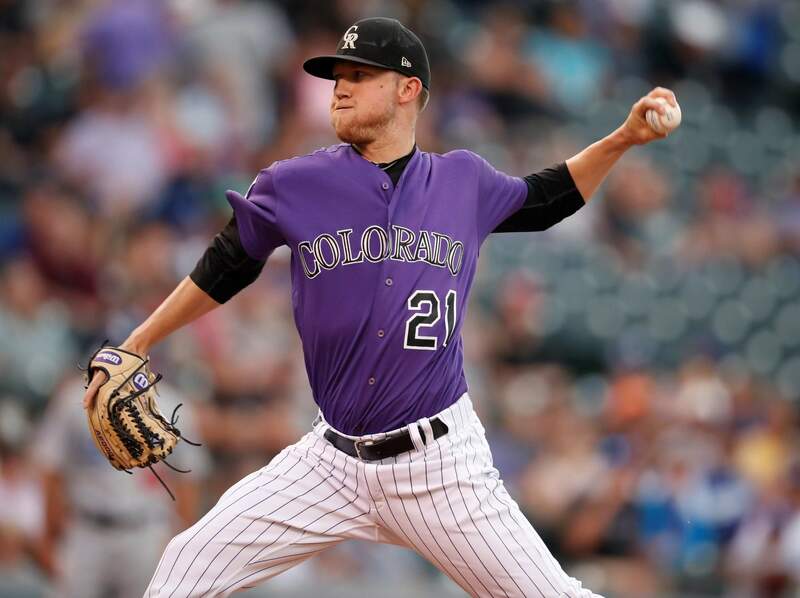 DENVER – Kyle Freeland was a 14-year-old Rockies fan when Colorado made its improbable run to the 2007 World Series. Colorado moved 1½ games ahead the second-place Dodgers. The Rockies are alone in first place after August for the first time since 1995 and have never won a division title. RESTLESS NIGHT OFFColorado third baseman Nolan Arenado understood why he wasn’t in the starting lineup, but he wasn’t happy with sitting. The All-Star and five-time Gold Glove Award winner is 5 of 39 at the plate in his last 10 games, which has dropped his average below .300. He hasn’t hit a home run since Aug. 24 and has gone deep only three times since the end of July. EXTRA! EXTRA!With Taylor’s home run, the Dodgers now have seven players with at least 15 homers and 15 doubles in a season for the first time in franchise history. GRAND MILESTONERockies second baseman DJ LeMahieu’s single in the first inning was the 1,000th hit of his career. He added another single in the eighth inning. UP NEXTIt will be a battle of lefties in the finale of the three-game series on Sunday. The Dodgers will send Rich Hill (7-5, 3.73) to the mound and the Rockies will counter with Tyler Anderson (6-7, 4.80).